We all want to shower our special someone with gifts, and Valentine’s Day is a perfect excuse for it. For some folks, this is a difficult task as it’s quite hard to come up with good gifting ideas. 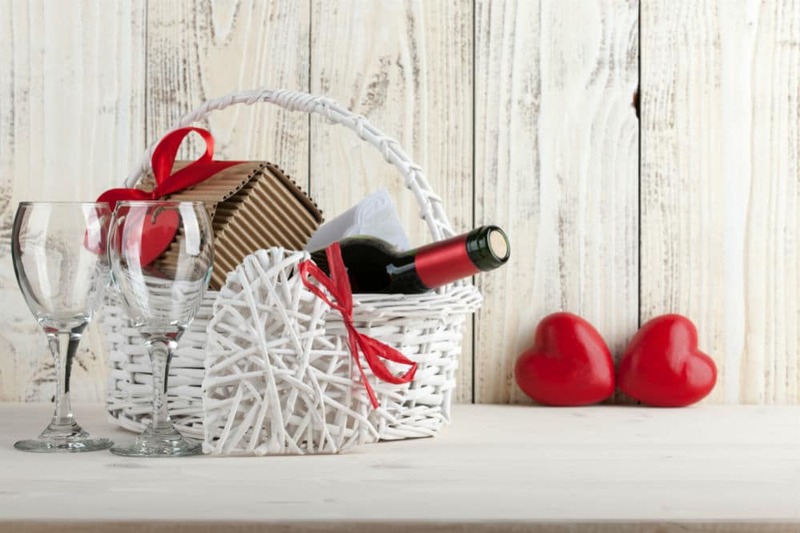 A Valentine’s basket is generally considered a great gift idea, but if you’d like to DIY it, you may be wondering how you go about making one and what do you even put in it? From the most common to some truly unique product ideas, we’ve got all these answers and much more covered in this article! Valentine’s Day baskets make so much sense when you want to gift an assortment of goodies. All you have to do is buy a new basket or you can reuse an old basket or box and decorate it. What makes the basket most special is what you put in it. 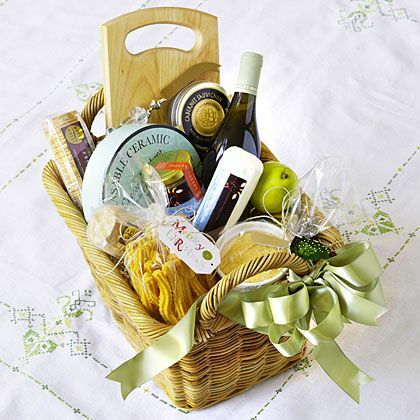 Hence, here is a list of some amazing gift basket ideas that will certainly wow your partner. Red roses have always been considered as the classic symbol for love. Nothing says “I love you” more than a basket full of red roses. You can either gift a basket full of roses or pair it up with something else like chocolates or other candies. 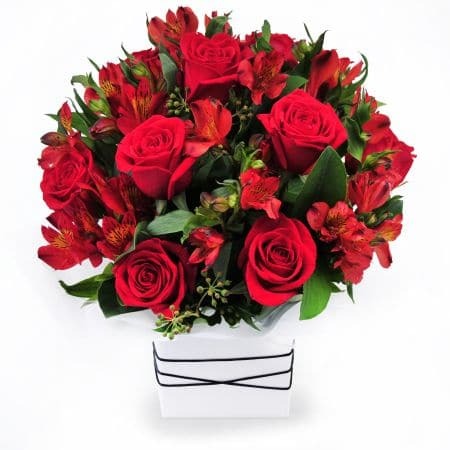 Make sure that you buy only long stemmed and fully bloomed bright red roses, as those are the prettiest. The next classic option that you can put in a Valentine’s Day gift basket is chocolates. 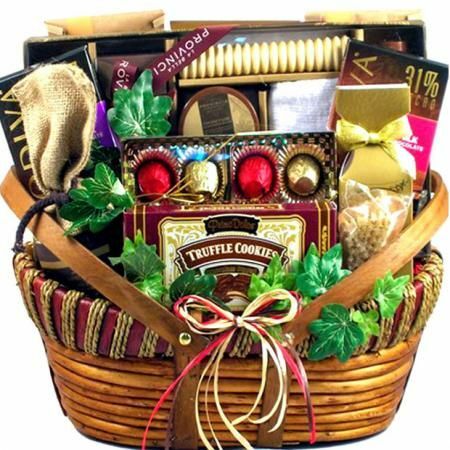 If your loved one is a chocolate lover, then he or she will surely appreciate you gifting a whole basket full of chocolates. Do not buy the same chocolates for the whole basket; instead, buy an assortment and mix things up. These can include milk chocolate bars, chocolate caramels, chocolate truffles, dark chocolates, and several more. Put everything together in a pretty basket along with a personal message. Fruits are known to embody sensuality. 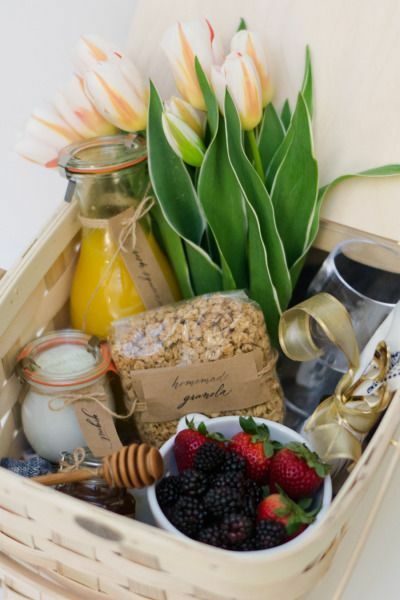 In fact, some of them are also known to possess properties of an aphrodisiac, so it only makes sense to gift your partner a basket full of fruits! 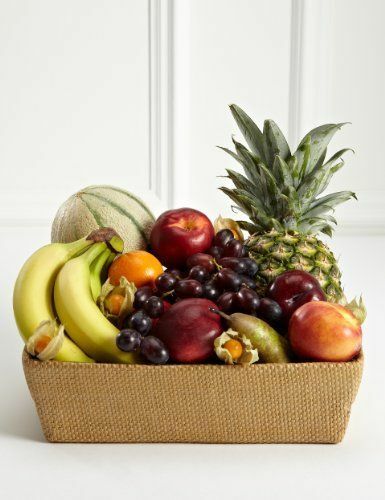 Homemade fruit baskets are extremely easy to make as well. Simply get a basket from a dollar store and fill it up with your partner’s favorite fruits. Wrap it all up with saran wrap and tie a large ribbon on top of it. Don’t bother buying specialized fruit baskets as they are insanely overpriced. You can make your own for so much less and truly make it your own pretty creation. If your partner loves luxury spa outings, then this gift basket is ideal for you! 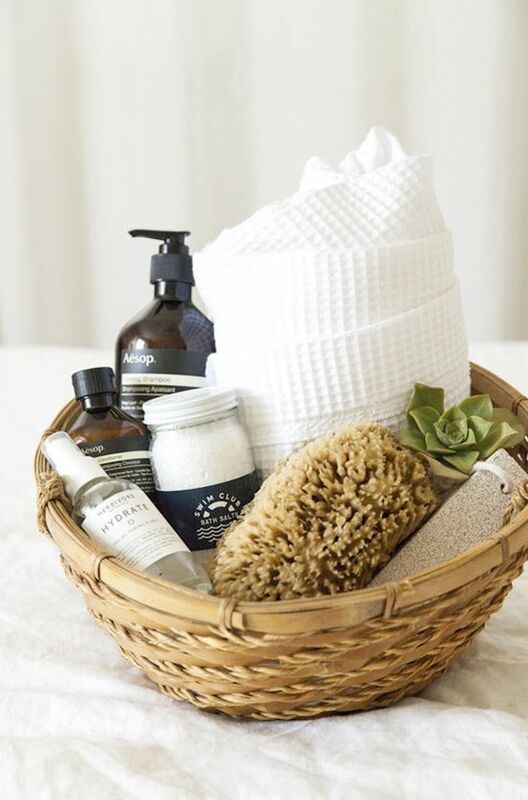 Fill a basket with some of his or her favorite scented candles, luxury bath soaps, and herbal or green tea! You could also include luxurious face masks, shea butter soap, and body scrubs. Take this a step above by including a voucher for a couple’s massage session- the perfect Valentine’s day gift to share with a loved one. Surprise your partner with a romance gift basket left on the bed. You can go all fancy and spend some extra money on some crackers, mini Champagne bottles, a box of caviar, a spreader knife, and stemware. You can put all of this in a gift basket or even a cute wicker case and tie it all up with a bow. There is a high possibility that your partner may be obsessed with coffee. 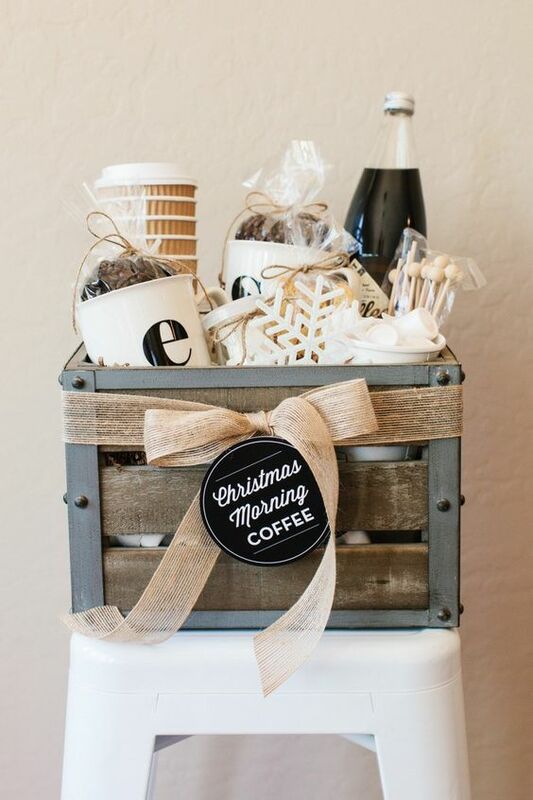 So, what could be more perfect than a gift basket full of all things coffee! You can fill your coffee gift basket with an assortment of products from Starbucks or your favorite local coffee shop. Some ideas of things to include in this basket are: a mug with your partner’s favorite coffee shop’s logo, some shortbread, biscotti, caramel wafer cookies, house and specialty ground coffee. In fact, you can get in touch with your nearest coffee store and ask if they’ll make a basket for you to purchase! A local shop in particular may be open to this idea. 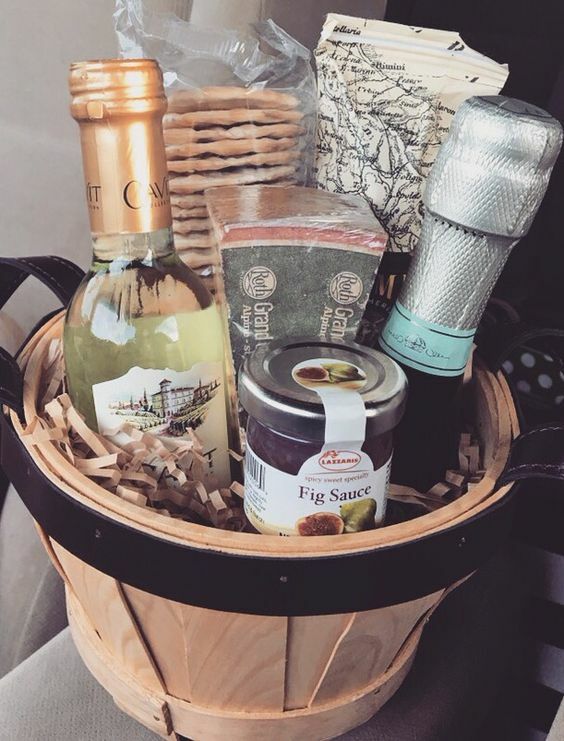 Coffee may be child’s play for some people, so why not step it up a level and give your partner a basket filled with a wide assortment of his or her favorite and fancy wine along with some expensive cheese and charcuterie? Find an adorable metal basket, put all these items in it and tie it up with a nice bow. Not only will they be impressed with the content but also with the adorable packaging. Is your partner the type that is perpetually glued to the screen binge-watching his or her favorite shows or movies on Netflix? 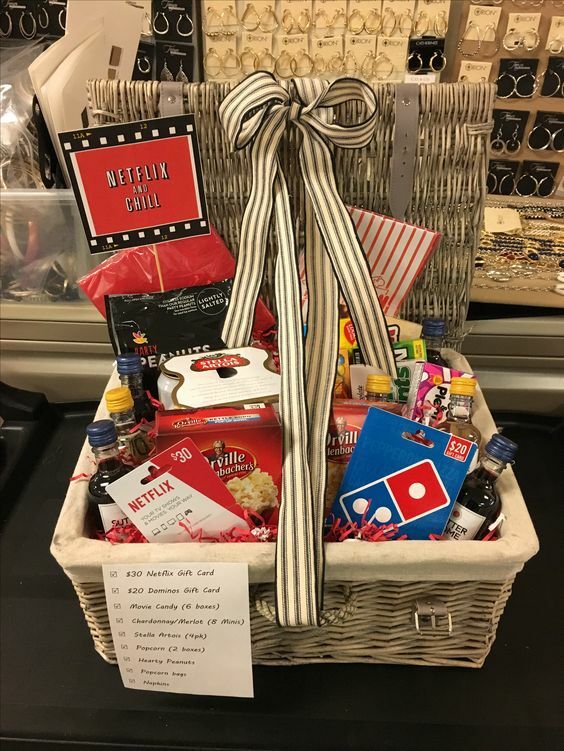 Then the perfect gift basket for him would be the “Netflix and Chill-er” gift basket. Take your partner’s binge-watching addiction to a whole new level by stocking the basket with his favorite goodies to eat. This could include some classic candies such as M&M’s, Twizzlers, and so on, along with his favorite beverage of choice. And don’t forget to include multiple packets of microwave popcorn! This easy and economical Valentine’s gift basket is just fantastic. 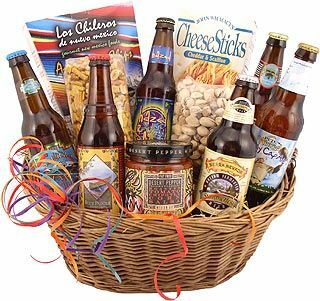 For all those out there who have partners obsessed with beers, this gift basket idea is perfect for you! Make a Valentine’s Day gift basket filled with multiple types of craft beers, including his favorite kinds. Accompany this with snacks like popcorns or nuts and just like that…you’ve got a great gift! Beer doesn’t go down well for your partner? Then gift him a Mixologist Valentine’s Gift Basket. 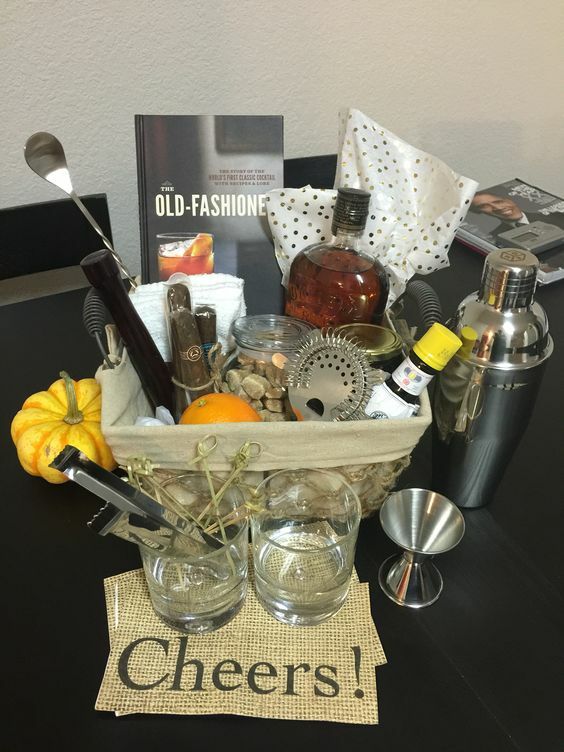 You can include all the things in this gift box that would make your partner the perfect cocktail connoisseur. You can include a stainless steel strainer, mason jar shaker, ice tongs, hardwood muddler, and even a cocktail recipe book. 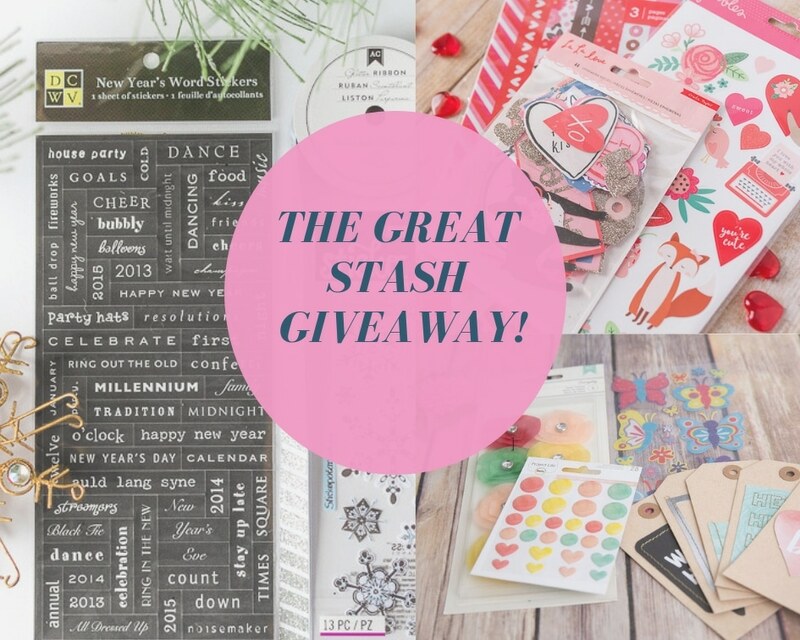 Are the previous few gift basket ideas not working out for you? We get it. Not everyone wants to eat chocolates, snacks, and drink beer. So, if your Valentine is a health nut, this Valentine’s Day basket will certainly make him or her appreciate you all the more! Find a nice looking basket and fill it with an assortment of low-fat, low-carb and energizing snacks. Some ideas of things to include are nuts, trail mix, granola, beef jerky, and his or her power bar of choice. You could also include some seasonal fruits, spreads, and cheeses to make the perfect combination of a fun, stylish and healthy Valentine’s Day basket. We hope this article answers your “How to make a Valentines basket?” question and gives you plenty of ideas to get started with your own creation. Don’t hesitate to mix them around or to come up with your own basket idea filled with your partner’s favorite things. After all, it’s the thought that counts most!